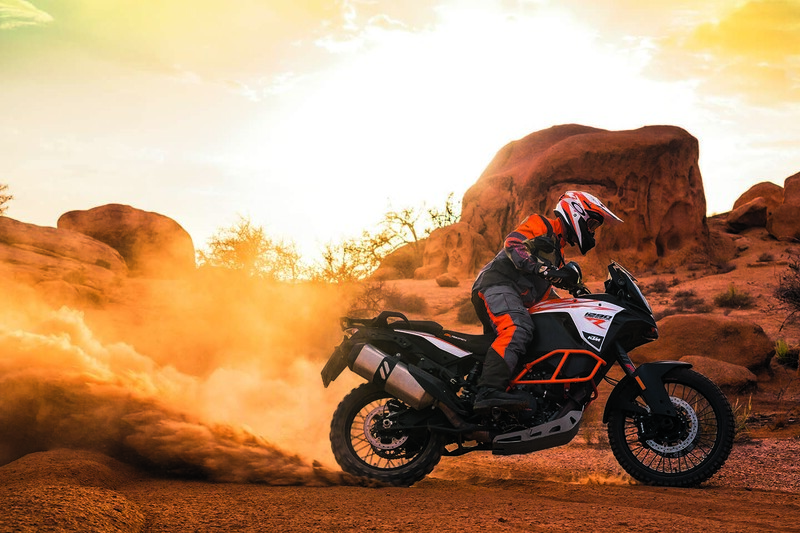 We like it when OEMs go big with their ideas, and that’s exactly what the Austrians have done with the 2017 KTM 1290 Adventure R.
The more svelte and off-road focused cousin to the KTM 1290 Super Adventure, this R model is meant to defend KTM’s domain in the ADV world against would-be competitors…like perhaps, Ducati. 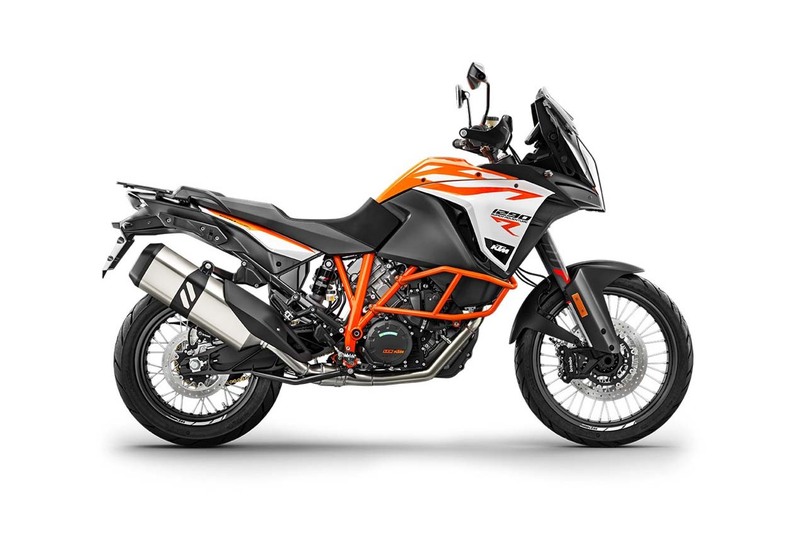 The plan here is pretty simple, take the base model KTM 1290 Super Adventure, but add in crash protection, tubeless wire-spoked wheels (21″ in the front, 18″ in the back), and even more travel in the WP suspension pieces (22omm, front and back). 2017 also sees the Super Adventure line getting a makeover, which you will either love or hate, as KTM’s lineup continues to read like a Spy vs. Spy comic. Still, it is hard not to like the re-tuned 1,301cc engine in the Super Adventure R, which still makes 160hp and 103 lbs•ft of torque. 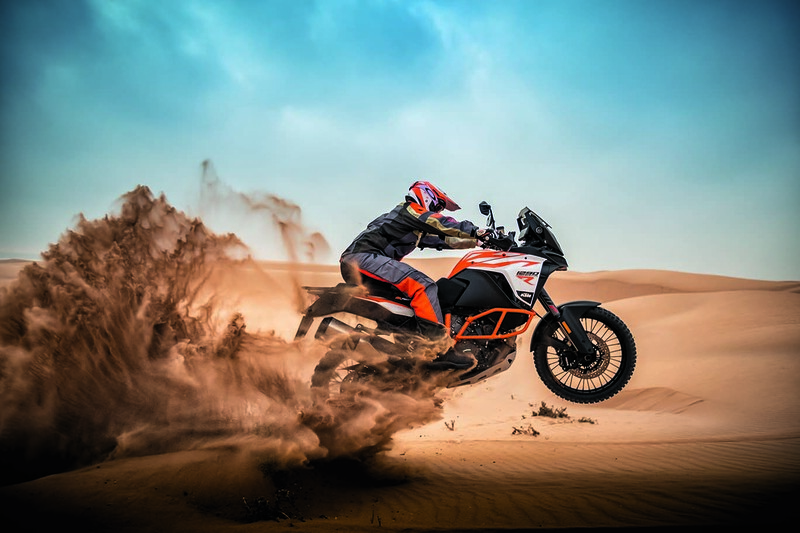 This means that the KTM 1290 Super Adventure R should be more than adequate on-road, and an absolute trail-shredder in the dirt. 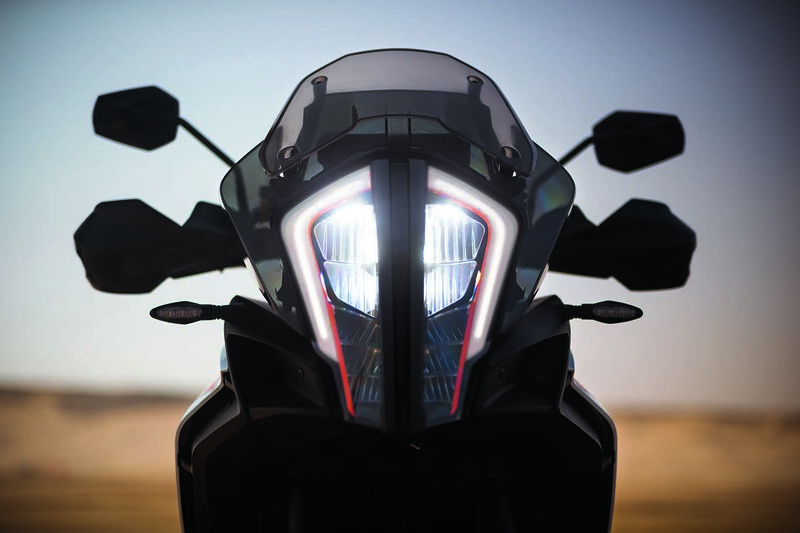 The cornerstone of the new hair-do is an LED headlight, which is accompanied by LED cornering lights (nothing new there), which are of course tied into the Bosch MSC system, which provides cornering ABS as well. Of course, the KTM 1290 Super Adventure R is Euro 4 compliant, and it features a revised intake expansion chambers to help it be so. 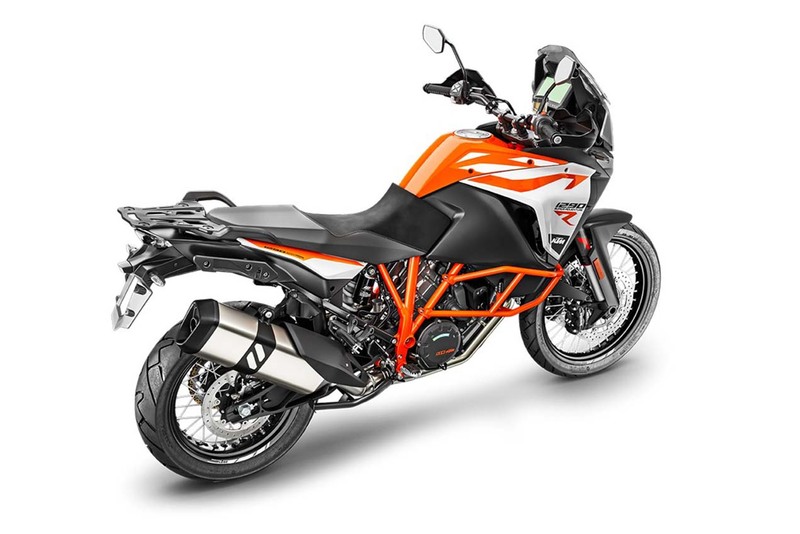 According to KTM, this helps with low and midrange engine performance. 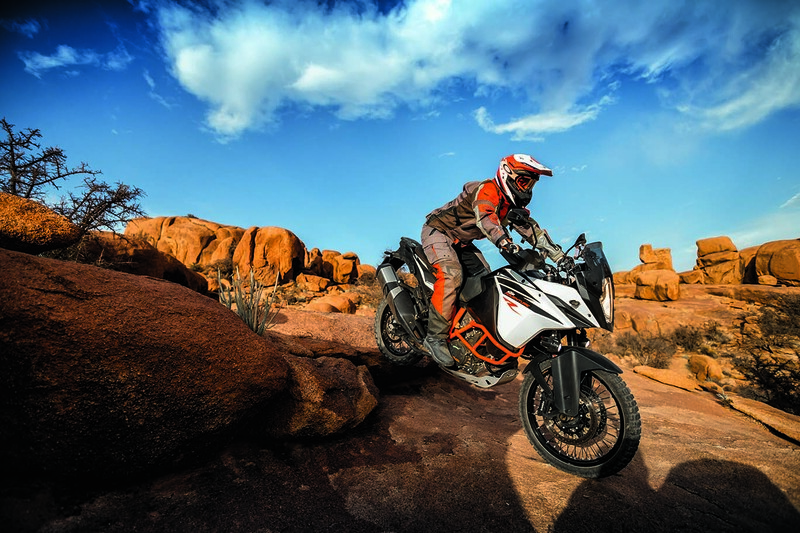 For other goodies, KTM has also fitted a tire pressure monitoring system, traction control, cruise control, and various riding modes. When in the off-road mode, the rear ABS is disabled (the front ABS stays on). Optional items include a hill hold control system for stopping on inclines, as well as a motor slip regulation, which will increase engine revs to keep the rear wheel from slipping during deceleration on questionable terrain. 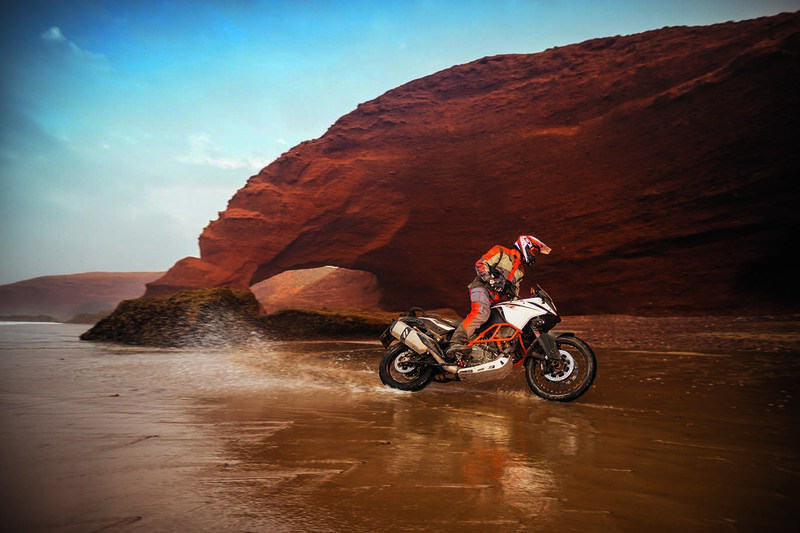 All-in-all, the 2017 KTM 1290 Super Adventure R is probably exactly as advertised: the already bonkers KTM 1290 Super Adventure, tarted up for some proper off-road excursions. At 494 lbs wet, you are running out of excuses to hate this bike.